Post-graduate training: BCPS recognized the post-graduate training under Medicine, Pediatrics, Surgery, Gynae and Obs. Curriculum: Bangladesh Medical and Dental Council curriculum adapted by the Faculty of Medicine, Chittagong University. Class Hours: 8.30 AM to 3.30 PM with interval between 12.30 PM and 12.45 PM. For clinical students there is two hours of evening classes in the Hospital. 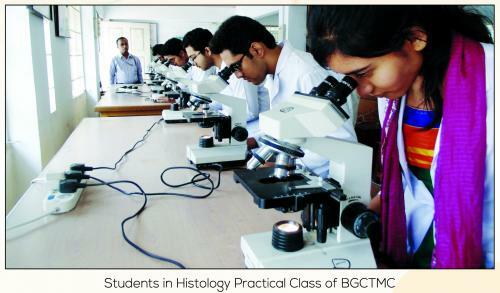 The College is recognized by the Bangladesh Medical and Dental Council since ----.BGCTMC has been enlisted in the World Directory of Medical Schools effective ------ published by World Health Organization which entitles the graduates of BMC recognition all over the world. Graduates of BMC are eligible for limited registration. They are also eligible to take the United States Medical License Examinations (USMLE). At present, all the male students reside in the hostel, arranged by the college authority in the adjacent area to the campus at Chandanaish, Female students have their own "Mother Theresa Girl's Hostel". The college authority has planned to make hostel for all the male students within the campus or surrounding area with a purpose to make the college a fully residential, till then transport facilities for the students will be provided by the college authority. There are 5 large fully air conditioned class rooms with closed circuit televisions for lectures. In addition, there are departmental tutorial rooms attached with the respective departments. The Anatomy Dissection Hall is fully air conditioned. 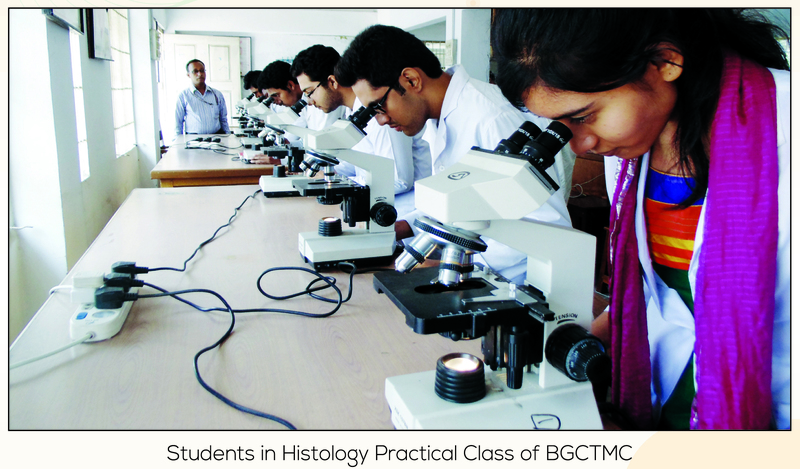 The laboratories of various departments like Pathology, Biochemistry, etc are well equipped with instruments. Each class is provided with overhead projector, slide projector and microphone system. In addition, multimedia projectors and computers are also available for teaching. The College has a modern fully air conditioned library located on the first floor. The library has a collection of over 6674 books including expensive latest monographs. It subscribes 16 international medical journals on an annual basis. 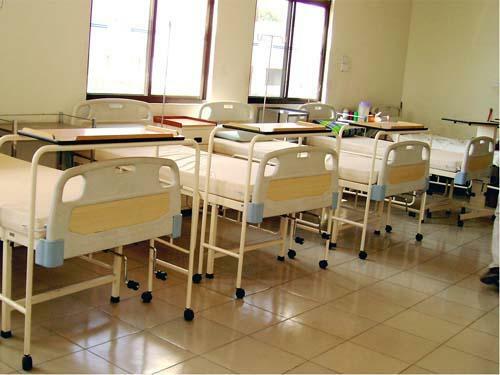 The library has accommodation for seating 100 students and 15 teachers at any given time. The Medical Education Unit (MEU) is attached to the library. MEU has 5 computers for use by students and faculty members. Fax, Internet and E-mail facilities are freely available and are widely used. MEDLINE database (1966 to current) is available on CD Roms and online through the Internet. Teaching materials are also available on CD Rom and videocassettes.